Messingham Bowls Club provides the entertainment of competitive bowling by having members playing in Lincs County Competitions, having 2 teams in the Scunthorpe and District League, a Ladies League team, a Tuesday Afternoon League team and a Mens Triples League team, as well as Internal Club Competitions. We also have a Bowls Drive every Sunday Afternoon (May to September) at 2:30pm which is open to anyone interested in starting to play bowls. 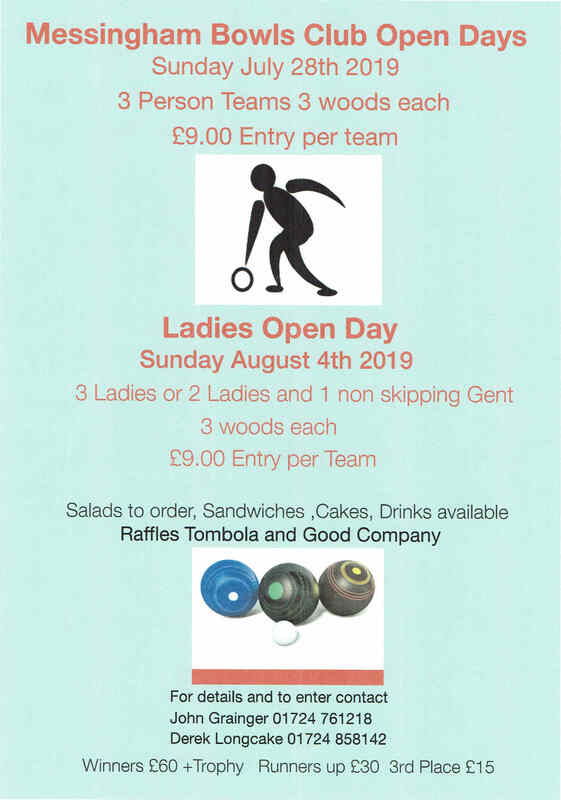 If you are thinking of taking up bowls or just want a social pastime, come along, all you need is a pair of flat soled shoes, You will receive a very friendly welcome. The club has several internal competitions running through the season with singles finals day on 31st August.